Eureka will be at the Malkara Exhibition this weekend the1st and 2nd of August. 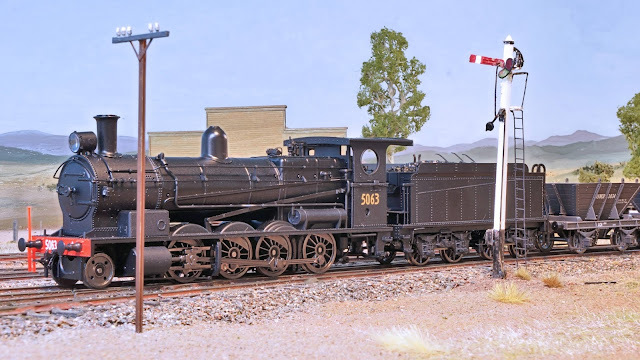 We will have non-sound 50 class locomotives available for sale and inspection and sound equipped models running on one of the layouts. Sound equipped 50 class are due for delivery last week in August. The 50s start to arrive and are quickly pressed into service. 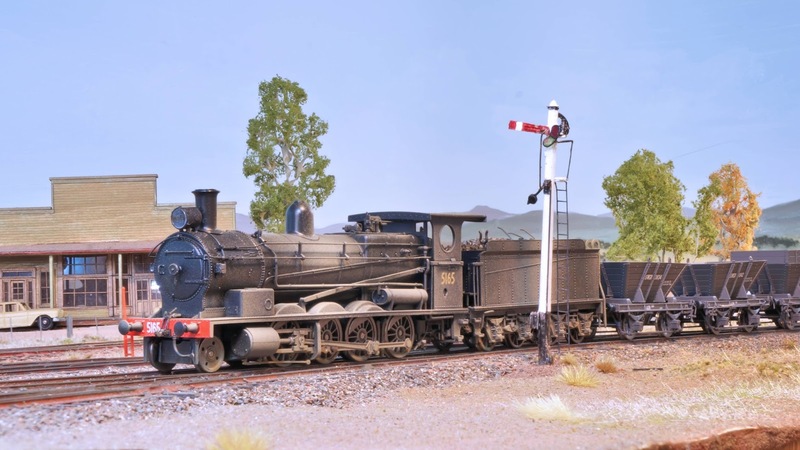 Superheated 5063 drifts into Breeza. Weathered 5165 shunting in Breeza yard. This week saw the arrival of a shipment of 50 class from the production run currently underway at the factory. One of each variation was received including three with sound and several weathered versions. The past few days have been spent putting the models through their paces and just generally enjoying running them. The sound is excellent and the QSI Titan decoder used is a generation ahead of Eureka Models' last sound equipped engine (the R class). For those who enjoy playing with sound there are a lot of opportunities here but those of us who just enjoy the sound of steam will not be disappointed. The factory has advised that delivery of the non-sound units will take place on the 28th of July with the sound equipped units being delivered around the 24th of August.